Eamonn Farrell creates work at the intersection of live performance and media. We are fast approaching the convergence of film, theater and real-time, interactive media and Eamonn intends to be in the middle of this exciting nexus as it coalesces. As directer/media designer of Anonymous Ensemble (AnEn), he has designed cutting edge projections and video for all of Anonymous Ensemble’s productions for over a decade. AnEn specializes in the seamless integration of live camera work as a means to visually amplify live performance. AnEn has also experimented extensively with web-integrated performance, interactive video installations and film production. Anonymous Ensemble likes to think of their work as staged films that incorporate the immediacy of a live audience. The company has produced work that has been presented all over the United States, Australia, Germany, the United Kingdom, Greece and Norway. 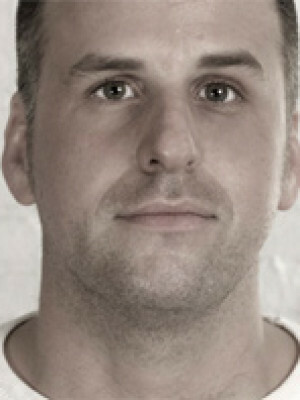 Eamonn also works as a free-lance video designer for theatrical productions and opera. The son of a painter who ran an art school for children, Eamonn learned the ABCs of visual art before he learned to read. He also draws heavily from his background in dance and choreography when working with line, motion and compositions of moving imagery on stage. He has designed projections and live video for plays, concerts and operas all over New York City, regionally and internationally. He also designs extensively for director, Lee Breuer of Mabou Mines.